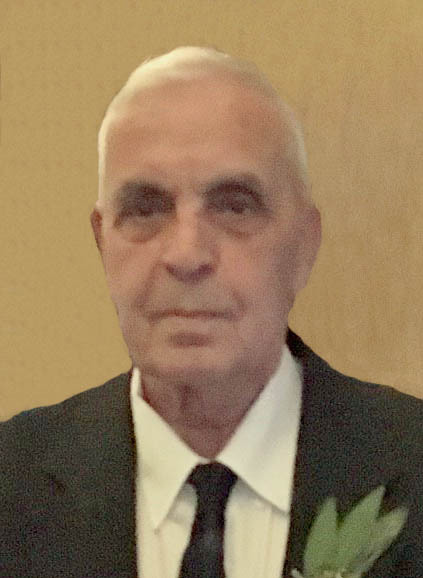 Charles H. “Bud” Corlett, 87, passed away at his home on Oct. 26, 2017, of natural causes. Charles is preceded in death by his parents, brother and lifelong love, Tana. He is survived by his three sons: Paul (Cydne), Boyd (Jean) and Kent (Milka). Bud is also survived by his sister, Mary Lou; seven grandchildren; 8 ½ great-grandchildren; and many others who cared for him. Charles was born in Cedar City, Utah, on Oct. 31, 1929, to Leo Corlett and Ina Heyborne. He grew up and attended high school in the area before electing to join the Army. Bud spent the majority of his Army service in Alaska as a fireman. Although it was a small chunk of his life, he was very proud of his service and the diploma he earned through the Army. Upon his return, he married the love of his life in 1951. Bud and Tana were the perfect pair, and anyone who met them knew the love and support that existed in the marriage that lasted for 64 years before Tana’s passing in 2015. For the following two years, Bud kept Tana’s memory alive through pictures and stories of their life together. Bud had a storied career in the Utah trucking industry and impacted countless lives throughout his career that led up to the day he passed away. He worked at Milne Trucking for over 40 years in a number of different roles and was very proud of the work and the relationships that he had over that time. He also spent ten years with Dats Trucking and helped with their expansion efforts throughout the state. In 2000, Bud was monumental in the founding of Corlett Express Trucking with his sons. It was the product of his life’s work and his expertise played a major role in the 17 years of success the company has had. If you asked anyone to sum Bud up, the first thing that would come to mind is “hard worker.” He continued to work until the day he passed away. Although Bud was such a hard worker, his biggest achievement was family. He loved his family more than any work achievement and did whatever he could do to support his family members. This consisted of hunting and fishing with his sons and cheering on all of his grandkids at all they did. He truly was the leader of the Corlett family and his family could not be prouder to have had Bud lead them. He will be truly missed by his family. “To the perfect dad and grandpa, we love and miss you so much but we know you are with the person you belong too. RIP forever” -Your Family. In lieu of flowers, please make a donation to a charity dear to you. A graveside service will take place Wednesday, Nov. 1, 2017 at 2 p.m. in the Virgin Pioneer Memorial Cemetery, 200 N. 150 West, Virgin, Utah. He will be buried next to his wife, and he would have it no other way.